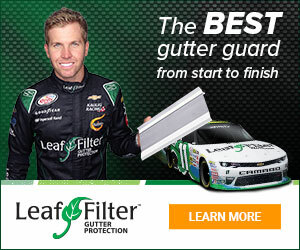 Next review LeafFilter North - Extreme Over-Priced Product & Far Worse Installation Service! Aug 06, 2018 Hi Joseph- Thank you for your feedback. Our service team has spoken to you and resolved the issue. If you have any further questions or concerns, don’t hesitate to call us at 800-749-4566. We made an appointment for a quote to get information. Michael Fuoco (Commercial Accounts Manager, Leaf Filter North) came and sat with us in our home. His initial quotation was around $4,500. He eventually reduced the price to $2844.00 after we continually said it was too high. We set up installation for July 19, 2018. Michael had told us they do not contract the work out and their employees only work for Leaf Filter. Two people ( a husband and wife) came to install the product. My husband stayed outside the entire time which was 5 hours and noticed they were not leveling the gutters to insure proper drainage which Michael told us they would. They called the project manger when my husband questioned them about not doing those things. The project manager said he would call his guy Pete who also worked for Leaf Filter, but has his own business. They continued to do the work and pulled out and took with them all the gutter spikes. When Pete showed up installation was complete, he was shocked that they didn't use a level and had taken the spikes out and left a leaking gutter end cap. He came back the next day and redid the work in an hour that took them 5 hours to do (and replaced the end cap). I called Michael on July 23rd. He said he was aware there was a problem (why didn't he call us 1st), and asked if the job was complete. I told him I was upset that he had lied to us when he said they didn't contract out the work (which the 2 who showed up and Pete said they were contracted by Leaf Filter and they own their own businesses). Michael said my complaint wasn't the 1st about these workers (why are they still doing installations?). He was very condescending and asked what I was looking for him to do? I told him that's not for me to tell you-you should do something to rectify the situation. To this date (August 3rd), I have not heard from him. There was a blatant disregard at any attempt for service recovery. As you are aware, a negative review receives ten times more attention than a positive one. I intend to share this review on multiple social media platforms. Furthermore, I will not recommend your product to any of my neighbors or people that I speak to who may be looking for this product due to the service we received. I didn't like: Customer service and quality of installation. Review #1320223 is a subjective opinion of JC720.